After a few weeks of excellent athletics around the world, local attention now turns to Dublin and the highlight of the season for many of our local athletes, the Irish Life AAI National Track & Field Championships. Given there prominence, the Championships, will form the basis of our weekend preview, but there are other major local events taking place this weekend. The obvious highlights are the Giants Trail Race, the LacPatrick 5 mile Race, both of which will take place tonight (Friday 27th July 2018) and the latest round of the NIMRA Championship, the Slieve Bearnagh Mountain Race. We’ll take a quick look at these and also provide a list of other fixtures taking place locally this weekend. Outside NI, aside from the aforementioned AAI National Championships, there will be familiar faces at the prestigious Lakeland 100 and Lakeland 50 mile Mountain-Trail Races in England. The weekend action will kick off later tonight, Friday 27th July 2018, when Dub Runners host their 4th annual Giants Trail Race in Belfast. The event has increased in popularity and reputation since its first running in 2014. The race will start at 7pm from the Dub Playing Fields and competitors will enjoy a challenging 6 mile course on a combination of forest trails, pastures and the Lagan Towpath; all of which will provide views of the River Lagan, before climbing through the woodlands of Minnowburn, passing the sculptures and natural art along the way. Runners will then pass through the ancient environs of the Neolithic monument at the Giant’s Ring and returning via Edenderry village and Gilchrist Bridge to Shaw’s bridge, finishing at the Dub Playing Fields. Neill Weir (Willowfield Harriers) and Stephen Wylie (Victoria Park & Connswater AC), who battled it out for victory at the Portaferry 10 miler last week, will again go head-to-head. Over 10 miles, Neill edged it and given his talent off-road, it should be the same here; however, Stephen will push the Willowfield man all the way. 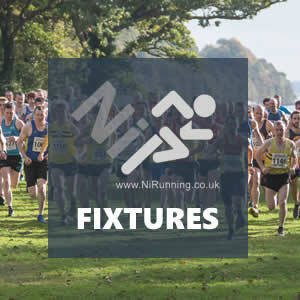 North Belfast Harriers men Philip Goss and James Trainor will contest podium places, but should they want to secure the prizes, they will need to see off Duncan Bell and Russell Hughes, two Willowfield Harriers men who have picked up numerous wins (including joint victories) this year. Neil Carty (North Belfast Harriers) and Simon Reeve (North Belfast Harriers) will both be worth watching. In the ladies race, it’s hard to look past Amy Bulman (Willowfield Harriers). Whilst working her way back to top form, the Northern Ireland international has topped the podium several times. Barring any late entries, consistently impressive athletes Beverley Mitchell (Albertville Harriers) and Helen Byers (North Down AC) should be there or there abouts in terms of picking up prizes. Also tonight (Friday 27th July 2018), Springwell Running Club will welcome athletes from across Northern Ireland to their LacPatrick 5 mile Road Race in Ballymoney, Country Antrim. Reigning Champions Neil Johnston (Springwell Running Club) and Breege Connolly (North Belfast Harriers) could return and will prove hard to beat if they do. 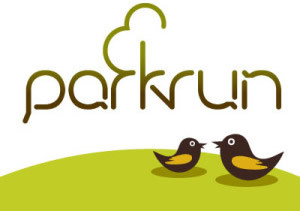 However, in the men’s race, Mark McKinstry (North Belfast Harriers) could opt for this event given its location. 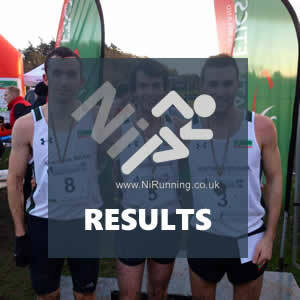 Luke Dinsmore (Springwell Running Club) , Kevin O’Boyle (Unattached) and Ben Morrow (Ballymena Runners). Larne AC’s Sean McAllister will be amongst those aiming for a veteran prize. If Rio Olympic marathoner Breege returns, she could face in-form Springwell RC athlete Ciara Toner. Ciara’s team mate, Caroline Irwin has also been in good form and should place well, as will Paula Worthington (Ballymena Runners) and Geraldine Quigley (Ballymena Runners). Commonwealth Games bronze medallist Leon Reid (Menapians AC / James Hillier) will be amongst a plethora of local talent who travel to this weekend’s Irish Life Senior Track & Field Championships at the Morton Stadium in Santry (Saturday 28th and Sunday 29th July 2018). Fellow Gold Coast team members Emma Mitchell (QUB AC / Eamon Christie), Ciara Mageean (UCD AC / Steve Vernon), Adam McMullen (Crusaders AC / Jonas Todoo), Ben Reynolds (North Down AC / Tom Reynolds) and Olympian Kerry O’Flaherty (Newcastle AC / Richard Rodgers) will also be chasing National titles. Ciara Mageean will take confidence from last week’s 800m seasons best over 800m as she takes on both the 800m and 1500m. In the 1500m, the New Balance UK athlete will face tough opposition, including fellow NI athletes Emma Mitchell and Kerry O’Flaherty. Northern Ireland 10,000m and 5,000m record holder Emma will also race in the 5,000m alongside Ann-Marie McGlynn (Letterkenny AC). In the 5,000m, NI & Ulster Champion Conor Bradley (City of Derry AC / Teresa McDaid) will play a part at the sharp end. NI & Ulster Champion Eoghan Totten (Newcastle AC / Richard Rodgers) and fellow NI man Stephen Scullion (Clonliffe Harriers / Stephen Haas) will head the local contingent battling for medals in the 10,000m, but the NI athletes will come up against high calibre opposition, including Sergiu Ciobanu (Clonliffe Harriers), Sean Hehir (Rathfarnham WSAF) and Hugh Armstrong (Ballina AC). In the field, Adam McMullen will be aiming for the eight metre mark in the Long Jump. James Kelly (Finn Valley AC / John Kelly Snr) will compete in the Shot Putt, while Lydia Mills (Ballymena & Antrim AC / Alan Kennedy) will take on the Long Jump and Triple Jump. On Saturday 28th July 2018, the local mountain running community will again convene in the stunning Mourne Mountains for the latest instalment of the Northern Ireland Mountain Running Association (NIMRA) Championship, the Slieve Bearnagh Mountain Race. The Mourne Runners event, which measures 3.9 miles in distance with 2,680ft of ascent, is the sixth race on this seasons Championship calendar and will prove to be an exciting race, given the performances of our top mountain runners this year, both locally and internationally. Newcastle AC team mates Seamus Lynch and Zak Hanna could contest the men’s race. Despite their obvious and proven talents, the pair will need to be in top form given the field who will be chasing – this should include the likes of William McKee (Mourne Runners), Jonny Steede (Glens Runners), Timothy Johnston (Mourne Runners), David Hicks (Newcastle AC), Colm Murtagh (Newcastle AC) and Stephen Cunningham (Mourne Runners), amongst others. In the ladies race, the prolific Esther Dickson (Newry AC) will lead the way, with Shileen O’Kane (Lagan Valley AC), Martsje Hell (North Belfast Harriers), Gillian Wasson (Ballymena Runners) and possibly Sarah Graham (Mourne Runners) in pursuit. On their day and over this course, any of these ladies could take top honours, which makes for an exciting race. Outside of Northern Ireland, there will be several familiar faces in action at the prestigious Lakeland 100 mile and Lakeland 50 mile mountain-trail races in the stunning Lake District in England. Dale Mathers (Mourne Runners), a man who has finished just outside the famous 24 hour barrier for the 105 mile race, which includes 6,500m ascent, will again start. He will be joined by Northern Ireland and Ireland international Justin Maxwell (East Coast AC) and respected endurance athlete Jonathan Gibson (Unattached). Northern Ireland international Denise Mathers (Mourne Runners) will line up in the 50 mile race. Junior athletes produce strong performances at Welsh Under 20 International!